You are here: Home » MEDIA » Cons » Dynamite at New York Comic Con 2018. Dynamite at New York Comic Con 2018. Lights Sets Sights for New York Comic Con 2018! October 3, 2018, Mt. Laurel, NJ: Pop sensation Lights is headed to New York Comic-Con to promote her new graphic novel, Skin&Earth. Friday morning, October 5, Lights will join international producer/DJ and entrepreneur Steve Aoki, Hip Hop Legend Darryl “DMC” McDaniels, and rock star Andy Biersack of the Black Veil Brides for a panel discussing their transition from musicians to comic book creators, the creative process, personal comic fandom and details on projects debuting at 2018 New York Comic Con. Following the panel, Lights will have an exclusive book signing on the show floor at New York Comic Con at the Toynk booth #2164 from 12:30-1:30 PM. Skin&Earth collects all six issues of the acclaimed comic book series along with variant art from Jim Lee, Joby Harris, Derek Lewis, Gianna Rose, and Matt Mitchell and an all-new introduction from Lights as well as custom interactive share codes to access the full album, music videos and other bonus content. Skin & Earth ties directly into her full-length album, released in Fall 2017. Lights breakout comic series Skin&Earth is slated for television, digital and gaming adaptation through global entertainment company eOne. Always pushing boundaries, alt-pop phenomenon Lights has never shied away from a challenge. 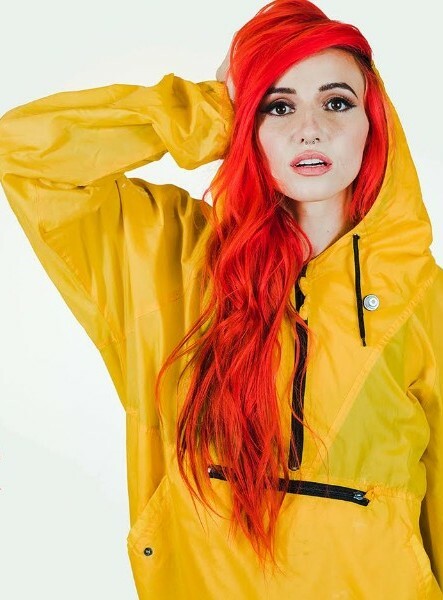 Through her first three records, Lights built an incredibly passionate fan base, selling out tours around the world, earning 150M in streams, over 250K in album sales, three JUNO Awards including a 2018 win for Pop Album of the Year, and three Gold album certifications; not to mention the 2M + rabid fans who follow her every move online. Yet through this success, she felt like she had more important things to say through her music but just didn’t know how to get them out. Thus was born Skin&Earth, the Canadian singer’s fourth record and companion comic book series of the same name, entirely written and illustrated by Lights herself. As Billboard explains, “Concept albums are nothing new, but it’s the lengths to which Lights takes her fourth album Skin&Earth that sets it apart.” Her anthemic single “Giants” brings the immersive comic book world to life, as Lights – and her alter-ego leading lady – struggles to find hope in a hopeless world. Lights has played numerous festivals including Coachella, Reading & Leeds, plus toured with OneRepublic, Tegan & Sara, Paramore, Kaskade, PVRIS and many others. Tired of the boring corporate grind, Mike Boyer, Steve Loney and Ron Madoch hatch a brilliant plan in 2001: to develop a company centered on fun products. And what couldn’t be more enjoyable than a business selling costumes, toys, and collectibles? The Toynk Toys team has since grown andvaries from 40 to 200+ diverse, fun-loving people, depending on the season. « The Way Of The Worm by Ramsey Campbell (book review).